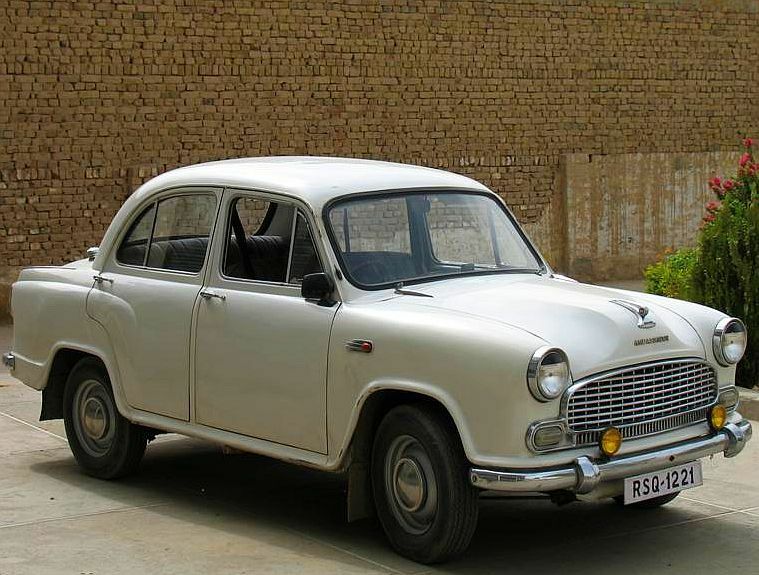 Till the mid-nineties, Hindustan Motors’ Ambassador dominated the Indian roads like a clunky colossus, one of the most potent symbols of the protectionism of the licence raj. 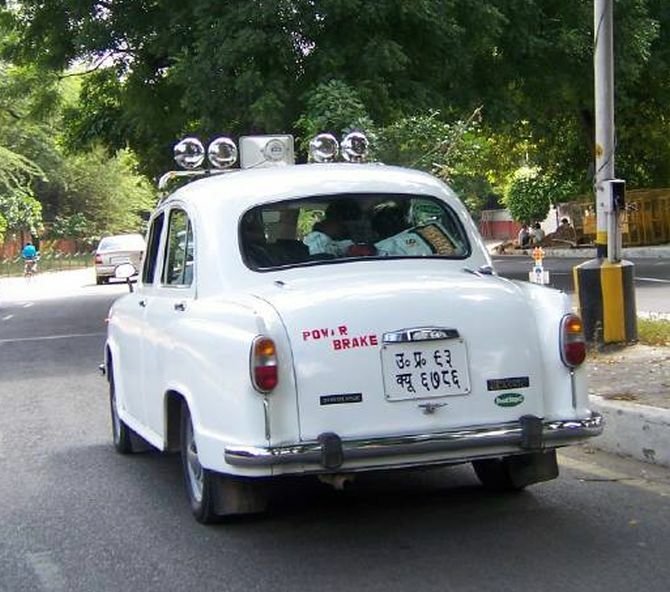 It says much for this brand, at once much maligned and affectionately remembered by generations of Indians, that it took more than two decades from the end of licensing for the “Amby” to call it a day when it was finally discontinued in May, 2014. Yet 40 years ago, the Amby was the mainstay of the Calcutta-headquartered flagship of the C K Birla Group. Built with dated technology from Morris Oxford, UK, by the time the seventies came round, the Amby was already in its twenties. It started life in HM’s Uttarpara, West Bengal plant in 1948 and, as the monopoly producer -- its first competitor, Premier Padmini, arrived only in 1964 -- it rapidly became a status symbol among rich Indians and a sign of government authority via the ubiquitous white Ambassador. The Amby’s tough, tank-like exterior and chunky interior styling made it admirably suited on rugged roads, captured in one of its earliest campaigns, “Wheels of India”. Its flaws (especially mileage) became apparent, partially in the eighties with the entry of Maruti Suzuki’s Maruti 800, and completely after liberalisation in the nineties. Ironically, HM was one of the first to see the need for change, tying up with General Motors to produce the Astra from its plant in Hallol, Gujarat in the mid-nineties. But in the seventies and eighties, the Amby’s monopoly made HM a favourite on the stock market -- “Motor Garam” was a favourite phrase of stockbrokers in those days. Not that the Amby’s ample curves were immune to changing market tastes. In 1975, it was given a facelift with the addition of new tail-lights, a number-plate light, rounded parking lights and a new dashboard and called Ambassador Mark III (Mark II had been launched 12 years before in 1963). HM pushed the new Amby as “a big size family car” through advertisements. The company also came out with an innovative scheme for its existing customers, offering to replace an old car-body with the Mark III shell. 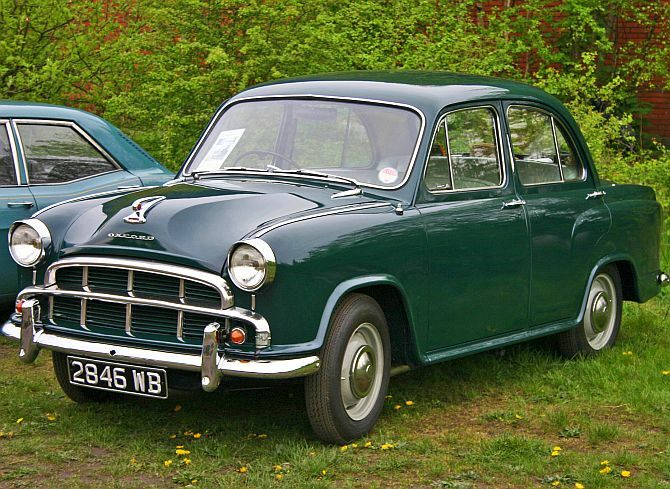 The marketing push led to sales peaks in the eighties, with annual sales of over 24,000 Amby units. In the seventies, HM also started to export the car to neighbouring countries. By the end of the 1970s, Amby enjoyed a market share of 75 per cent. “Hindustan Motors is proud of the fact that. . .it has put on the road 360,000 passenger cars & trucks, and. . .provided employment to over 2 million people,” N Das, then economic advisor and vice-president of HM, noted in a 1976-advertorial, talking mainly about the success of flagship Ambassador. But the branding success backed by the product specifications froze in time after that, just when these were needed the most. While convenience and nostalgia still carried it through in the years to follow, its resistance to evolve cost the Amby its appeal. As India’s newly rich middle class entered the car market for their first purchases by the late-nineties and early-noughties, nostalgia gave way to practicality. Stodgy Amby stood no chance. Delaying the shift to BS-IV emission norms prevented it from selling in tier I cities where the demand surge began. In 1995, HM used to sell about 18,000 Ambys annually. Last year, it sold about 2,214 units. Between 1984 and 1991, reports suggest that the Amby’s market share tumbled to 20 per cent. However, till the late nineties, it was still favoured for institutional use, synonymous with sarkari gadi (government car). It was Atal Bihari Vajpayee who, as the Prime Minister then, abandoned the brand for a reinforced BMW. 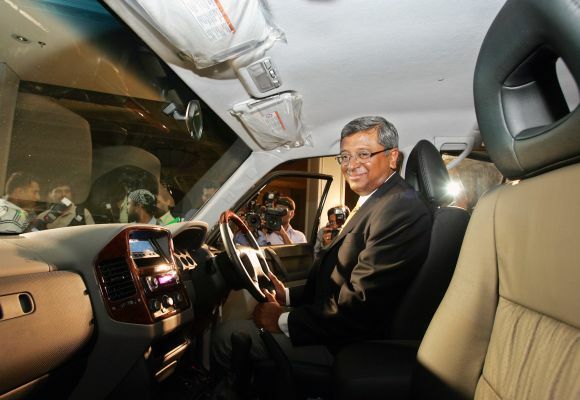 President Pranab Mukherjee, after assuming office, spoke of his liking for the car before stepping into a custom-built stretch limousine, the Mercedes Benz S600 (W221) Pullman Guard. The Amby continues to live on as a retro, kitsch design icon. It even made it to a dedicated fleet of a luxury hotel. However, it has miles to go before achieving the iconic status of the Volkswagen Beetle which is both a design icon and a still-selling car. 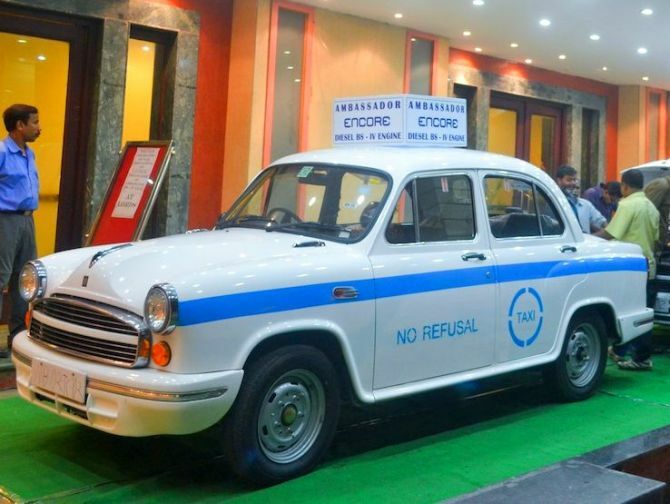 Till date, the Amby had some semblance of its earlier draw in Kolkata. 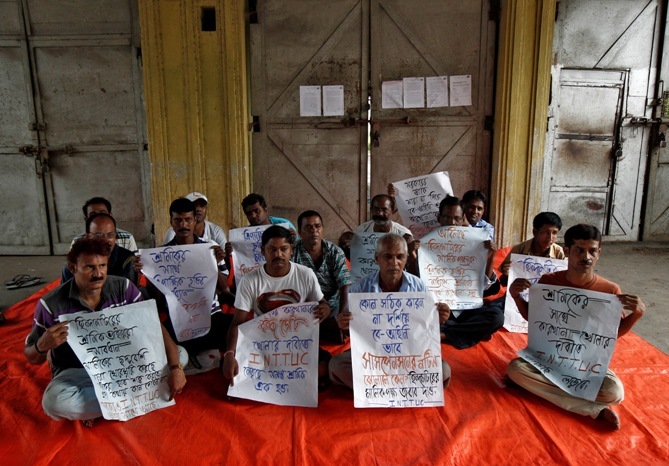 The public taxi segment in the city stuck by the car, albeit with a little leg-up from the West Bengal government. 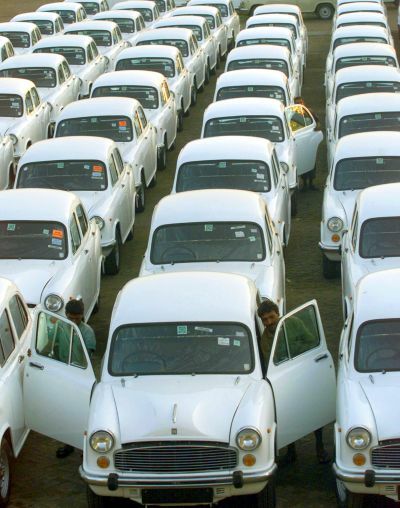 The sales of Amby taxis were suspended in the state only in April, 2011, a year after BS IV norms rolled out. The government also allowed HM to sell BS III cars as taxis in the replacement market, until the company came up with BS IV by 2013. An HM spokesperson maintains that in both plant and car could be revived. But the suspension of work was soon followed by sacking of over 80 per cent of the managerial staff. Moreover, the last citadel, Kolkata’s taxi market, too, has been invaded by Tata Motors with its “Kolkata exclusive” Indigo taxis. The Amby can take solace from the fact that it went down in history with its head held high. In 2013, it was crowned the ‘best taxi in the world’ by the globally popular auto show Top Gear, aired on BBC, beating popular models such as the German Mercedes E-class, Mexican Volkswagen Beetle, the Russian stretch limousine or even the London Black Cab (by Manganese Bronze), in a televised race where the “virtually indestructible” Amby had a resounding win. Is it end of the road for the iconic Ambassador car? What was the first Ambassador car called?